Features and advantages of Smart Forms . Developing a smart form, smart style and linking it to a program. 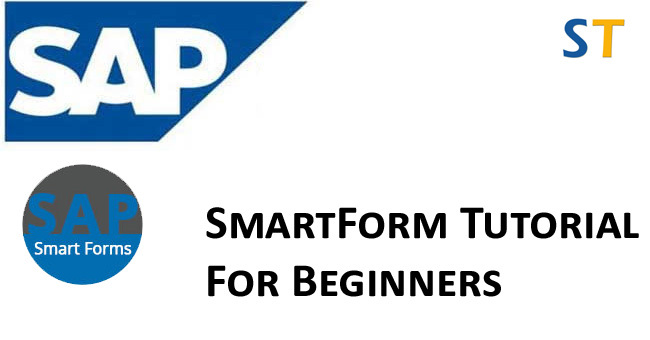 SAP uses Smart Forms to create and maintain forms for mass printing in SAP Systems. As output medium SAP Smart Forms support a printer, a fax, e-mail, or the Internet (by using the generated XML output). SAP Smart Forms allow you to execute simple modifications to the form and in the form logic by using simple graphical tools. To print a form, you need a program for data retrieval and a Smart Form that contains the entire form logic. When activating the Smart Form, the system automatically generates a function module. You design a form using the graphical Form Painter and the graphical Table Painter. The form logic is represented by a hierarchy structure (tree structure) that consists of individual nodes, such as nodes for global settings, nodes for texts, nodes for output tables, or nodes for graphics. You can insert static and dynamic tables. This includes line feeds in individual table cells, triggering events for table headings and subtotals, and sorting data before output. SAP Smart Forms allow you to include graphics, which you can display either as part of the form or as background graphics. We define the form interface to pass the data to the form. In the form interface we can define import and export parameters, tables and exceptions. Global definition apply for the entire form. We can use any object defined there in all nodes of the tree. We can initialize the global data before we start processing the start page. Within the form routines we cannot access any global data unless we explicitly pass them to the form routine interface. The layout determines the page structure, that is the number of differently structured pages and the positions of the output areas on these pages. The form logic controls the dynamic formatting of the form. On the pages of a form you determine the page layout and the sequence of pages with different structures. The individual pages in the form may differ in their structure. We specify the next page to make the page sequence clear. For recursive output call the same page repeatedly. On a page there are two different types of output areas for text and data:-the Main window and the Sub window. We can enter text in an editor. Data can be characters,strings or numbers. How does a smart form work ? When we activate the Smart Form, the system generates a function module that encapsulates all attributes of the Smart Form. As soon as the application program calls the function module, the Smart Form uses the modules interface (which corresponds to the form interface) to transfer any table data previously selected and to print the form according to the form description. For fetching the application data write an ABAP program to retrieve data or include a retrieval routine into your application. This code consists of statements that select data from the database according to certain selection criteria. Store the retrieved data in internal tables, structures, or variables and transfer it to the form in one step. passed to the form, for output in the form. Formatting data in the form and not in the data retrieval program allows us to use one data retrieval program for several forms with different formatting routines. Describe the interface of the form. It results from the application data previously selected. Create one or more pages. On a page, you can position windows, addresses, and graphics. Within a window, you can create additional elements. Use the Form Painterto position windows, graphics, and addresses on a page (the other elements are displayed in an assigned window). Use the PC Editorto write your texts. Use the Table Painterto format your tables. The numbering of the nodes also shows the sequence in which they are processed (from top to bottom). The first node is the root node. The successorsof a node are all nodes included directly under this node in the hierarchy. For node 5 these are the nodes 6 to 9 (direct successors are only the nodes of the next hierarchy level, that is 6, 7, and 9). Use Transaction Code SMARTSTYLES to maintain paragraph and character formats. All tables, structures and fields passed via the form interface. For the sake of the example, both loop and table nodes are used for printing the item details. The following slides show the required output and the components of the Form Builder used for getting the same. REPORT ZSALES_PRINT NO STANDARD PAGE HEADING. PARAMETERS: VBELN LIKE VBAK-VBELN OBLIGATORY,KUNNR LIKE VBAK-KUNNR OBLIGATORY. DATA: BEGIN OF ZITAB OCCURS 0. INCLUDE STRUCTURE VBAP. DATA ZITAB1 LIKE ZITAB OCCURS 0 WITH HEADER LINE.DATA: SVBELN TYPE DDSHRETVAL.TABLES: VBAK, VBAP. SELECT SINGLE * FROM VBAK WHERE VBELN = VBELNAND KUNNR = KUNNR. The previous slides explained the features, creation and the application of Smart Forms.